You stated that there are almost 6,000 Greek NT manuscript (around 5778 copies). Among them are 400,000 variants of differences, while there are only 139,000 words in the NT. However, Prof. Bruce Metzger wrote that the NT is 95% reliable when compared to the original manuscript of the New Testament. Prof. Bruce Metzger was one of the 20th century’s the greatest textual critics of the New Testament manuscripts. However, if you do not read Prof. Bruce Metzger’s work for yourself, you will not fully grasp the meaning or full force of his conclusions. 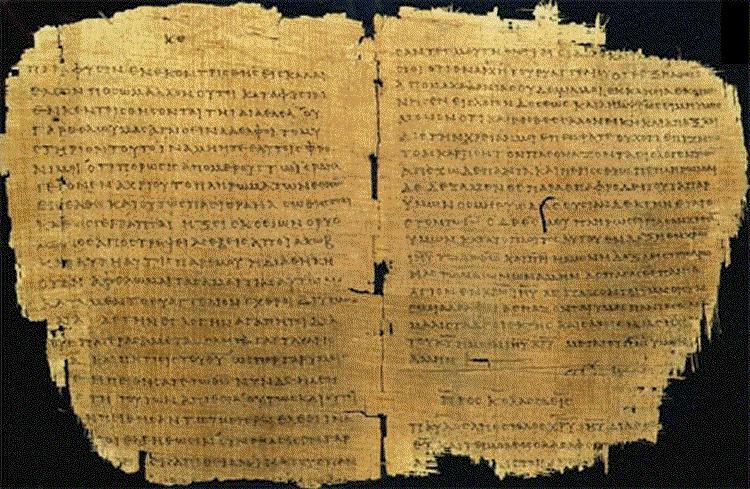 We now have discovered nearly 6,000 Greek manuscripts of the New Testament (NT). We don’t know how many mistakes there are among our surviving copies, but they appear to number somewhere about 400,000. I will put this in comparative terms: there are far more differences in the NT manuscripts than there are words in the New Testament. Bear in mind that well over 90% of these errors are the result of sloppy slipups, and are insignificant. They show us nothing more than ancient scribes could spell no better than most people can today. Textual critics, however, contend that they can reconstruct more than 90% of these mistakes. This may be the case. We can never say that we can know that this would be matched to the ORIGINAL books of the NT, because NOBODY has the originals. They are lost! The kinds of errors we tend to discover are the sleepy mistakes of the scribes. The later manuscripts, of the Middle Ages are much more plentiful and uniform because they were copied by trained, professional scribes. The earliest manuscripts have the most errors. The most important thing to keep in mind is that 90% of the contradictions in the NT manuscripts are not important. In other words, 360,000 errors in the manuscripts in the NT are unimportant. However, 40,000 errors are significant. Even if we reduce this number by 50%, we are left with 20,000 mistakes that are very important! 20,000 mistakes that are very critical and have significant theological implications! Keep in mind that there are only 139,000 words in the whole NT. Would God permit such a thing to be done to the New Testament if this was His holy book that God wished to preserve for all future generations? Why didn’t God protect the integrity of the NT if it is in fact a holy and an eternal book? You might ask, how could God preserve the text? As it turns out, God did exactly that with the Torah, which is much bigger and older than the NT. The whole Torah is the same! All 304,805 letters preserved by God! 1) Is the doctrine of the Trinity found in 1 John 5:7-8? It depends on which manuscript you read. 2) Did Jesus appear to any of his followers after the resurrection in the book of Mark? It depends on which manuscript you read. None of the earliest manuscripts have any appearances. The last 12 verses of the book of Mark (16:9-20) were inserted by later scribes who were disappointed that the apostles didn’t encounter Jesus following his resurrection according to this account. 4) In the Book of Luke, did Jesus say to God that the Jews should be forgiven? Did Jesus request, “Father, forgive them for they know not what they do” (Luke 23:34)? It depends on which manuscript you read. Early Christians interpreted this as a prayer of forgiveness for the Jews, ignorant of what they had done. No wonder some scribes deliberately deleted the verse in the second and third centuries, when many Christians believed that Jews knew exactly what they were doing and that God had in no way had forgiven them. 5) Did Jesus have an encounter with an adulterous woman and her accusers in which he told them, “Let the one without sin among you be the first to cast a stone at her,” and in which he told her, after all her accusers had left, “Neither do I condemn you. Go and sin no more”? It depends on which manuscripts of John you read in chapter 7-8! The oldest manuscripts don’t have it. It was added later. 6) Did Luke understand that Jesus’ death was an atonement for sin? It depends on what you do with Luke 22:19– 20. Everywhere else in Luke and Acts, the author eliminated Mark’s references to Jesus’ death as an atonement. The only remnant of that teaching is in some manuscripts of the Lord’s Supper, where Jesus says that the bread is his body to be broken “for you” and the cup is his blood poured out “for you.” But in the earliest and best manuscripts, these words are missing (much of v. 19 and all of v. 20). Scribes have added them to make Luke’s view of Jesus’ death conform to Mark’s and Matthew’s. In other words, Luke disagreed with Mark and Matthew on one of the most important theological claims of the other gospels and Paul. This variant questions whether Luke (whoever he was) believed that Jesus dies as a sacrifice for sin. It is not that Luke didn’t think that Jesus’ death was important. But he believed that if you think about Jesus’ death, you will repent. Thus, according to Luke, it is the repentance, NOT the sacrificial death of Jesus that atoned for sin. Meaning, without that later scribe addition, the author of Luke and Acts did not believe that Jesus died as an atoning sacrifice for your sins! Anyone would say that these variances are terrifically important for knowing what traditions about Jesus were in circulation among the early Christians. 7) After his resurrection, did Jesus tell his disciples that those who came to believe in him would be able to handle snakes and drink deadly poison without being harmed? It depends on which manuscripts of Mark you read. 8) Paul’s injunction to women to be “silent” in the churches and “subordinate” to their husbands was not originally part of 1 Corinthians 14:34– 35, but was added by later scribes intent on keeping women in their place. Is that significant error or not? No Christian scholar would disagree with what I wrote; and you will find these errors noted in many scholarly annotated Christian Bibles, especially those edited by Prof. Bruce Metzger! I listed for you only a tiny number of errors and variances in the New Testament so that you can see for yourself that the consequences for many of the errors in the manuscripts are monumental. If time would permit, I could record hundreds of NT variations that are significant, but I only wanted to give you a taste of the significant error in thinking that the NT is the “word of God” or there is 90-95% agreement. That 5-10% of errors in the NT makes all the difference in the world! Is God the author of mischief and lies? Just a brief comment, how much I am learning and enjoying your Outreach on Israel National Radio and youtube and Facebook. It appears that the uninspired New Testament is from human hand and your research confirms this. — I have some of your material, DVDS, the former single volume “Let’s Get Biblical” etc., which along with learning sessions resulted in leaving Christendom Cults and Churches and retun to my Jewish roots, which by the way I knew virtually nothing. So I thank HaShem first of all and others HaShem used. Amen! Good for you brother… Thanks to our lovely rabbi Tovia Singer. Whoa, I didn’t know that such trivial mistakes could help create profusion of denominations all across the world which never cease lambasting each other. Thanks for this article. I guess, bravo Gutenberg! All lessons from rav Singer opened my eyes that we jews need only our hebrew /aramaic holy books and not the misguiding greece new testament. I dropped all teachings from the church and went back to the synagoge. I greatly respect Rabbi Singer for much of his scholarship, and have even used some of it on my own site. However, Mr. Singer’s handling of NT textual criticism, and of textual criticism in general, is inconsistent and misrepresents the facts. A perfect example is how he treats Mark 16. Singer says in the article, “None of the earliest manuscripts have” verses 9-20 and that they “were inserted by later scribes who were disappointed” (see example 2 in his article). These statements are incredibly misleading, if not outright deceptive. When Singer says “None of the earliest manuscripts”, he means a grand total of four manuscripts: Sinaiticus, Vaticanus, Bobiensis, and Sinatic Syriac. These are the four major manuscripts that leave out Mark 16:9-20. He does not say that somewhere around 1200 manuscripts in Greek, plus scores of manuscripts in Latin, Boharic, Fayyumic, Syriac, Armenian, Ethiopic, and Georgian, have Mark 16:9-20 with no problems what so ever. And many of these manuscripts are just as old, *or markedly older*, than the ones that leave the verses out. Irenaeus and Justin quote from Mark 16 during the *second century*; Sinaiticus, Vaticanus, and Bobiensis weren’t copied until about 140 years later. Four manuscripts verses 1200? Give me a break. Things get even worse when he says that we can never know what the NT originally said because we don’t have the original manuscripts. I point out that there are textual differences in the Old Testament too, and we don’t have any original manuscripts for them either. We don’t trust a text because it is free from variation; because NO ancient text is free from variation. We trust a text because it is consistent through its transmissional history; and the OT, as well as the NT, is consistent in this fashion. I confess that I didn’t think anyone—conservative Christians included—would be surprised to encounter someone who held that the last 12 passages of the Book of Mark to be a later addition to the oldest gospel. My judgement on this matter reflects the consensus opinion of New Testament scholars today. In fact, the vast majority of annotated New Testaments note that Mark’s ending may be of spurious origin. Don’t tell that to the Appalachian snake handlers who base their dangerous practice on what they believe is an authentic ending of the book of Mark. 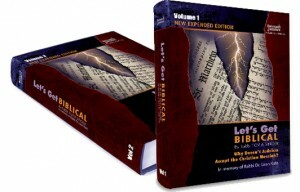 New Testament scholars widely believe that that later Christians found the original ending of Mark so deficient that the last 12 passages (16:9-20) were added in some manuscripts to improve the gospel’s epilogue. In other words, while you can disagree with this assessment, it would be mighty difficult to impugn the character of those who disagree with you. The evidence here is overwhelming: Mark 16:9-20 does not exist in our earliest and most dependable Greek manuscripts. Our oldest fragment of the book of Mark dates to about 220 CE, and our earliest complete copy dates to the fourth century—three centuries after the book of Mark was written! This section is a later addition; the original ending of Mark appears to have been lost. The best and oldest manuscripts of Mark end with ch. 16:8. Two endings were added very early. The shorter reads: “But they reported briefly to those with Peter all that had been commanded them. And afterward Jesus himself sent out through them from the East even to the West the sacred and incorruptible message of eternal salvation.” The longer addition appears in English Bibles; its origin is uncertain; a medieval source ascribes it to an elder Ariston (Aristion), perhaps the man whom Papias (c. A.D. 135) calls a disciple of the Lord. It is drawn for the most part from Luke, chapter 24, and from John, chapter 20; there is a possibility that verse 15 may come from Matthew 28:18-20. It is believed that the original ending must have contained an account of the risen Christ’s meeting with the disciples in Galilee (chs. 14:28; 16:7). Not surprisingly, the expanded ending of Mark was popular with Christians. The same was the case with the 12 verses in the book of John that tell the story of the adulterous woman (7:53-8:11). Christians love that story. These passages are also well-known to be a fabrication. As a result of their popularity, however, Christian scribes copied these and other forgeries into the manuscripts. We have in our hands today nearly 6,000 Greek manuscripts of the New Testament. The vast majority of them were penned after the 6th century. Few are from the early period. Understandably, Christian scribes eventually copied the embellished and popular version of Mark and John that Christians cherished. For this reason, the vast majority of New Testament manuscripts and printed Bibles contain the fabricated 12 verses of both Mark and John. Thank you Rabbi Singer for helping me in my spiritual journey. I have had so many questions my entire life and I believe they are finally being answered in multiple ways.